Since 1949, our family has been providing top quality stonework in granite with speed and accuracy being paramount. Welcome to our new website where you can find examples of our products and selections from our design books. We look forward to continuing to be your source for the highest quality granite. 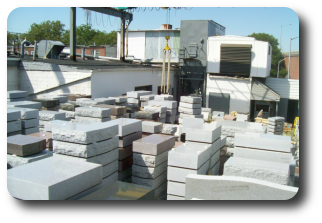 For generations, family-owned Memorial Granite has served the tri-state area community, providing personal service to cemeteries of all denominations. © 2008. All rights reserved. Memorial Granite Corp.